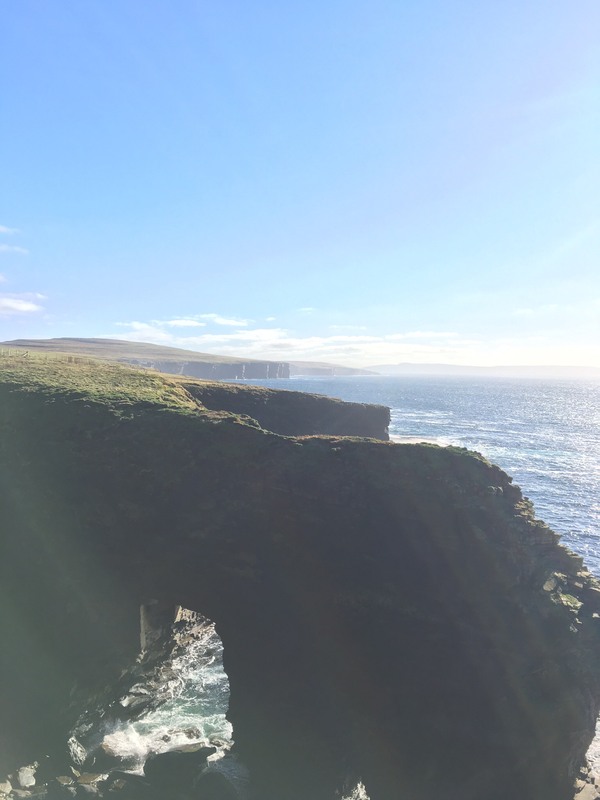 We’ve left the Orkney Islands, and they have certainly left a mark on me. I have been surprised in the most delightful way by these islands and the people who live there. 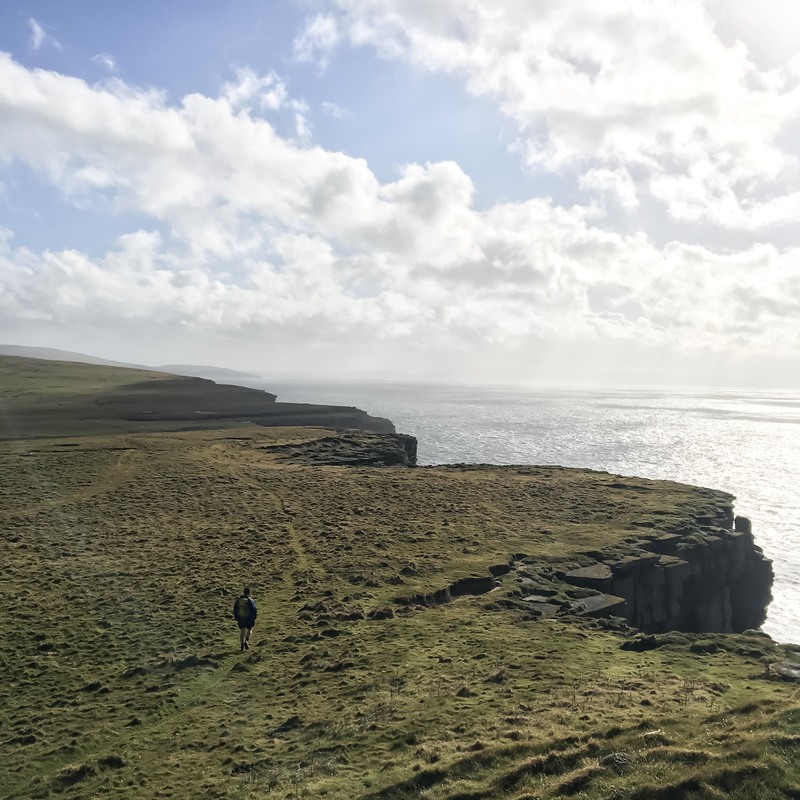 I thought I’d finish by writing down a collection of the wee moments that have all come together to spark the great love for Orkney that I now have. People leave their houses unlocked and their keys in their car ignitions. A crime worthy of being published in the paper was six pounds being taken from an honesty box at the end of a rural driveway where eggs were being sold. To get to the outer isles we had to travel out to the Kirkwall airport, and not once did we need to take the bus. Standing on the side of the road waiting for the bus, a friendly local would stop and drive us out there. And on the way home we met people on the plane who offered us a ride back to our accommodation. Speaking of transport, when we got the plane back from North Ronaldsay we showed up 10 minutes before the flight left, and didn’t need to show any ID… or even a ticket! They just trusted that we’d booked (and probably knew the rest of the people on the flight and deduced that we were the two extras). We met so many fantastic, quirky, hilarious people, all of whom gave us the warmest welcome. They welcomed us with generosity, kindness and invitations into their homes. I’ve learnt about rare breeds of sheep, and been convinced to take up weaving. The doctors we worked with couldn’t have made us feel more at home. One doctor gave us her car to borrow, as well as fresh farm eggs, and another spontaneously walked with us along the foreshore for two hours at the end of a busy day and then had us round for a wonderful meal in their home. We were only ever greeted with kindness. The music has been particularly memorable. We spent many late evenings sitting in the pub listening to the folk music. People just show up most nights of the week to play their instruments together. There’s often more room taken up by the folk crew than by the other punters! One of my sweetest memories was a guy sitting outside his house playing the ukelele and harmonica, and singing like an absolute dream. We sat and listened to him for a while, and I really could have listened to him all day. He just kept on playing, and sometimes his wife would pop out to deliver him a cup of tea or a sausage roll, and join in playing and singing too. The local weekly paper was always a delight. My personal favourite was the regular feature of photos of all the children who were starting school, and all the locals who had graduated from university. There was also a weekly full-page bird report from the isles – describing the exact numbers of birds that had been spotted by the twitchers, and celebrating the rare breeds when they had been seen. On the Isle of Westray we were greeted by a wonderful Orkadian woman who had recently returned to the Isles after 13 years in mainland UK. 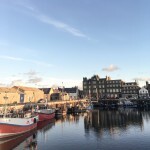 She perfectly described the way that people feel about Orkney by explaining, “I’ve come home, and I mean home with a capital H”. 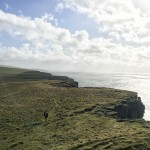 I could talk about Orkney all day, in a vain attempt to truly convey the magic of the place. 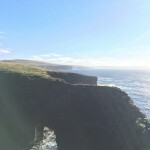 I could go on about the sea cliffs and the sea stacks that I have become quite obsessed with, or the history, or…. I could just tell you to go there! For long enough to get under its skin, and for Orkney to get under yours.